Acupressure is a form of massage therapy. It originated in China many years ago and is also used in Japan where it is called shiatsu. It was once used in Great Britain to treat headaches prior to the discovery of aspirin. The theory of acupressure is based on the Chinese belief that all living things contain a vital energy, which is known as chi. Within the body are invisible paths called meridians that connect all the parts of our body. The chi flows along these paths. There are various points located on the paths, which can be stimulated to relieve pain. The points are named such as Large Intestine 4, Liver 3, and Stomach 36. For example, Large Intestine 4 is a point located in the web of skin between the thumb and first finger. You can effect headache pain relief by applying pressure to and massaging this point in the direction of the index finger. But if the headache were a migraine, then you would apply the pressure to Colon 4 and Liver 3. Liver 3 is located between the big toe and second toe in the back of the webbing. Massaging this point will also help relieve stress. Unlike other massage therapies, acupressure uses no oils or equipment so it is simple to do. There are trained acupuncturists who administer acupressure but you can also learn to do it yourself. However, self-administered acupressure may not be as enjoyable as having someone else do it. To perform acupressure, you use your thumb, finger or knuckle to apply pressure to a point. The pressure applied should be firm but not painful. The point should be massaged from five to fifteen minutes until the pain subsides. But be careful not to over-stimulate the point, as this will make the pain worse. The challenge in self-administered acupressure is the correct location of the points. There are many books that have charts of the meridians and points together with complete directions. There are also charts available at various sites on the net. However, these points are only .5mm in diameter so there isn’t much of a margin for error. If you are not feeling any benefit after applying the technique it is probably because you haven’t properly located the point. Therefore, you might want to schedule one or two visits to an acupuncturist to have them teach you the technique. Acupressure has no significant side effects. 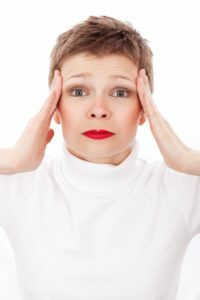 The points may feel a little sore after a session and some people may experience a temporary feeling of lightheadedness. Women who are pregnant should not use acupressure without the approval of their doctor. And even with a doctor’s approval, they should not self-administer but need to consult a trained acupuncturist. Some of the points are dangerous for pregnant women. Acupressure should not be applied over any area that is bruised or swollen. It also shouldn’t be done over varicose veins. People who have circulatory problems, osteoporosis, any type of bleeding disorder, a recent fracture or who are using blood thinning medication should only have acupressure administered by a qualified therapist. Acupressure has been found to be helpful in treating nausea, motion sickness, headaches, muscle tension and stress.